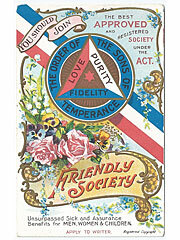 Below is a featured selection of our Advertising related postcard stock. 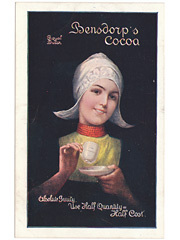 Postcard advertising Royal Dutch Bensdorp's Cocoa, reverse is an invitation for a sample. Good condition, very minor creasing. (Postcards, Ads, Art, Netherlands, Wandsworth, London). 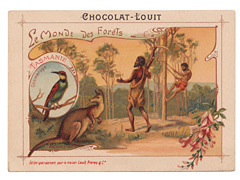 Brand: messrs Bensdorp and Co.
Trade-card by Chocolat-Louit, from the Le Monde Des Forets series of 24. In very Good condition. 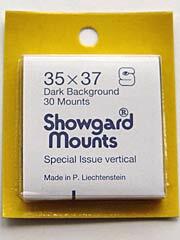 (Postcards, tradecards, trade, Ads, Art, Deer, animals, birds, artist, painting). 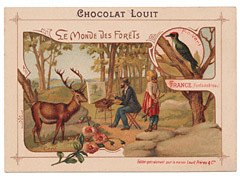 Brand: Louit Freres and Co.
Trade-card by Chocolat-Louit, from the Le Monde Des Forets series of 24. very Good condition, with minor crease to 1 corner. (Postcards, tradecards, trade, Ads, Art, Kangaroo, animals, birds, natives). 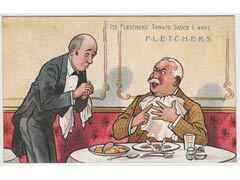 Art Postcard of Fletchers Indian Sauce Advertising. Fletchers (Shipley) Ltd. Part of the Sauce Series. 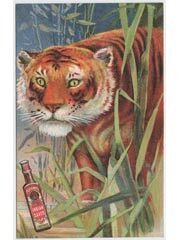 (Postcards, Ads, Tiger, Animal, Big Cat). Fletchers Tomato Sauce Advertising postcard by Fletchers (Shipley) Ltd. Sauce Series. Postally used, 21 Mar 1912 Doncaster. (Postcards, Ads, Comic, Art). 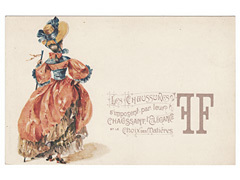 French art postcard with text, les chaussures simposent par leur chaussant l'elegance et le choix des matieres, FF. Translates roughly as the most elegant shoes made from the the best materials. In very Good condition. (Postcards, Ads, Art, glamour, shoes, dress, women, hat).